When you face a problem, it can be challenging to find the perfect solution. Some businesses figure out how to respond to the challenge and move on, while others flounder. The best thing you can do is take a step back, take a deep breath and maybe sip on some delicious coffee. Remaining calm and reflecting on the issue can lead to a fantastic solution. Problems can arise in any business. In your retail shop, your cash register might stop working, or your coffee shop might not be getting enough business. Regardless, problems come in all shapes and sizes. And they tend to happen every single day. For some coffee shops, their issues can persist and can't be handled in-house — problems like attracting new customers, retaining existing customers, increasing revenue and growing the business. Thankfully, there are marketing tools designed to help your coffee shop pass those obstacles. Let's take a look at some of the top marketing tools for coffee shops. Is coffee a part of your morning routine? This dark, rich and smooth drink is a great way to jump-start your day or afternoon. On average, US coffee drinkers consume about 3 cups a day. That's a lot of coffee! And that's three different times that you could have them drinking your coffee. 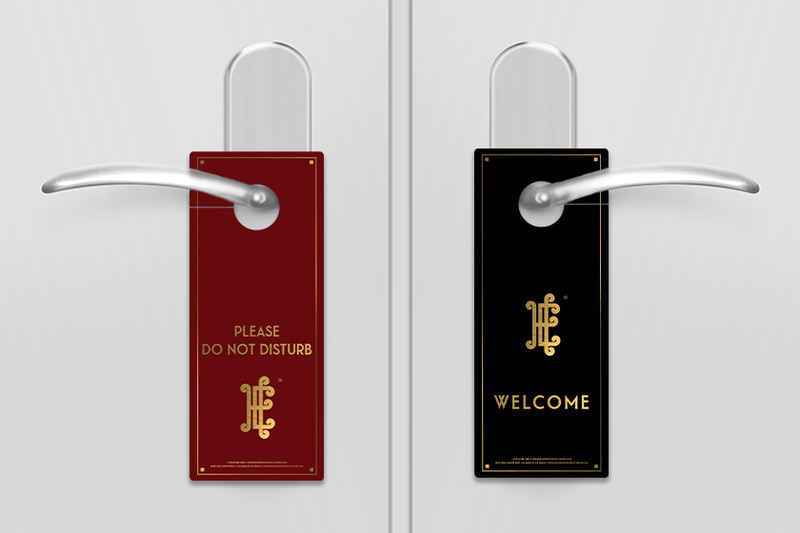 How can you get them in your door? By using a coffee gift card! A coffee gift card a simple, yet effective way to get new customers to visit your bistro and experience your coffee. Think about it. How many shops or restaurants have you purchased at merely because you had a gift card? I know I have! That's the power of gift cards! 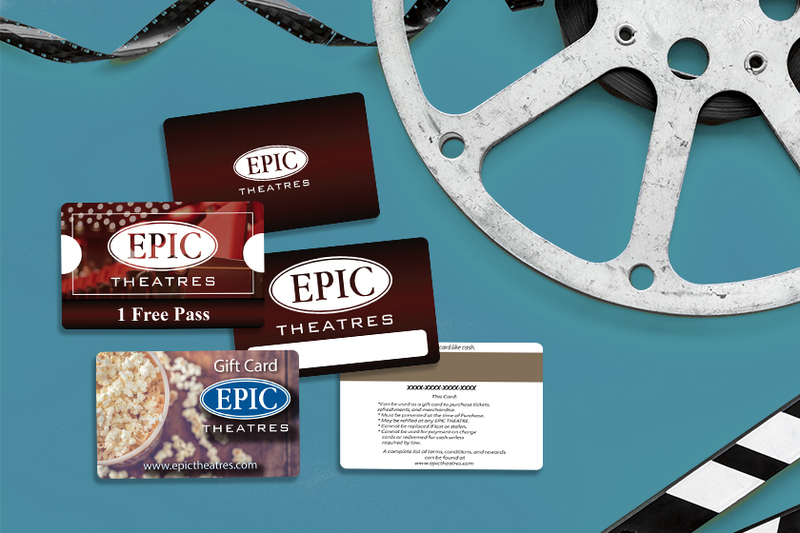 There are other ways to gain new customers, but most are not as cost effective as gift cards. 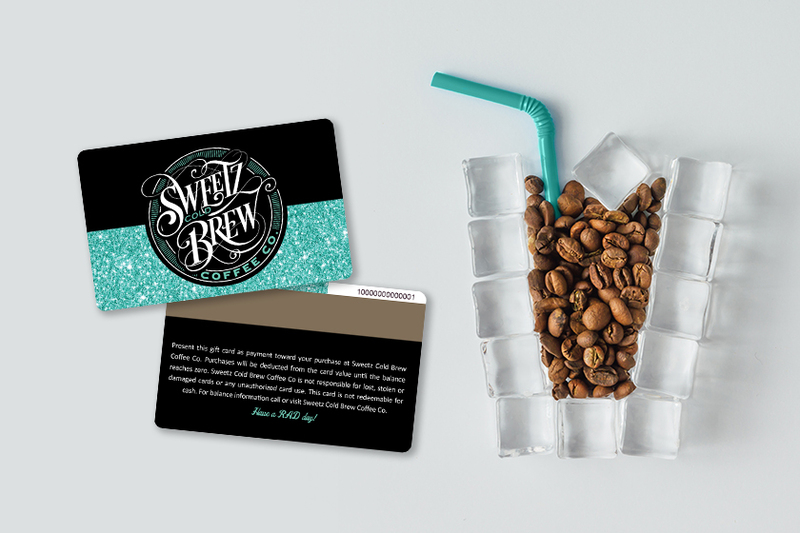 Design a coffee gift card that brings your brand to life. 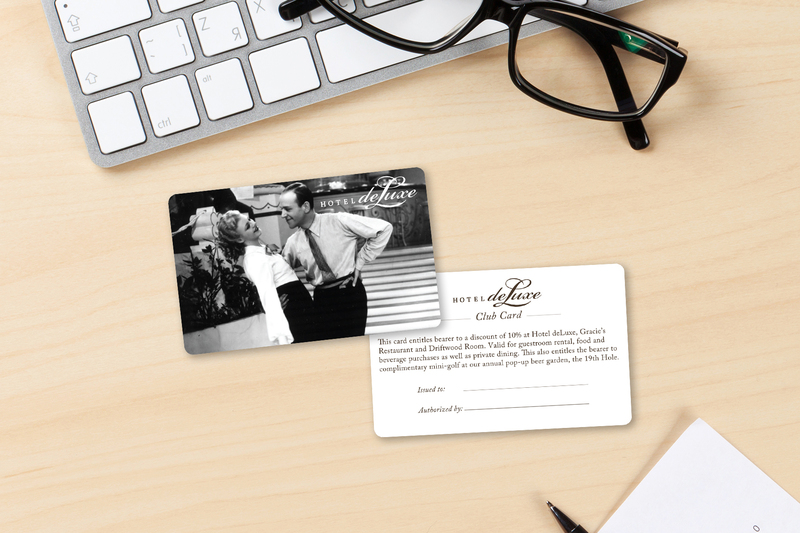 This will draw your customer's attention to your gift cards, so they know that your bistro offers them. The Coffee Barn is a great example! They created a cute gift card that pops right off the shelf. They also included a QR code, so their gift card works with their POS system. Your goal is to create gift cards that your customers will love, so that they will buy them and you can enjoy the additional revenue. 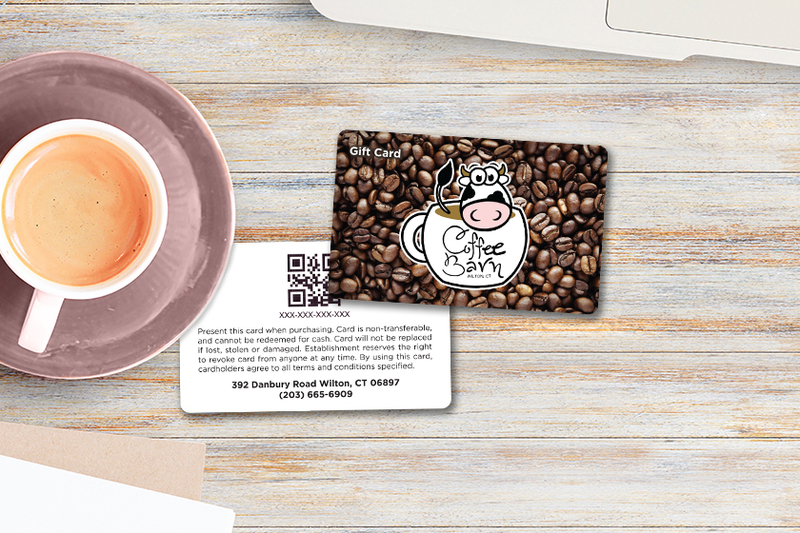 Show potential customers exactly what industry you're in with coffee cup business cards. If a picture is worth a thousand words, your coffee cup business cards are worth at least two thousand. This coffee shop business cards design does the talking for you. Giving you more room on the card to promote your business rather than explain what you do. Custom shaped business cards will dazzle your clients and separate your coffee shop from the competition. Coffee cup business cards are just one possible shape out of thousands for you to choose from. And if you don't see the shape you're looking for, we can create one just for you! 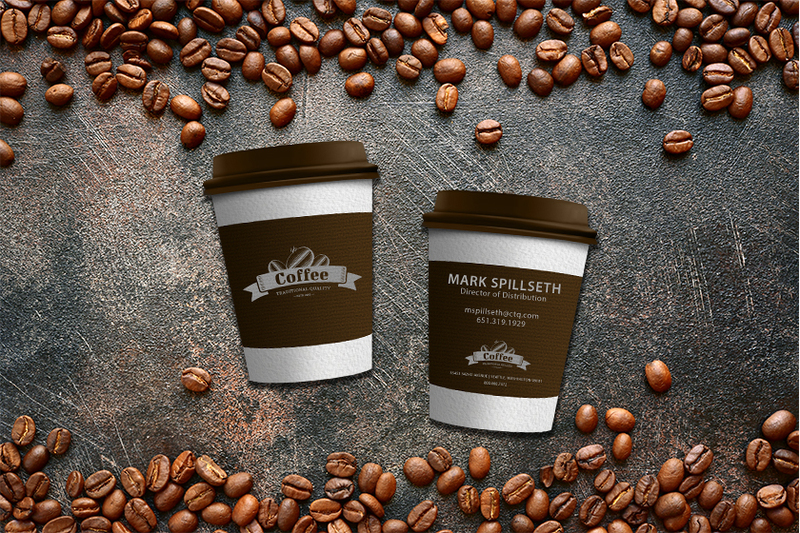 It's time to heat up your marketing efforts for your coffee shop with coffee cup business cards and other custom shaped business cards. Coffee bars and bistros have evolved in the past couple of years. They have changed from a place where you get a delicious cup of coffee to a location to work, socialize or relax. That being said, you want your coffee shop to be their regular meeting spot because returning customers spend more money and are less expensive to acquire. 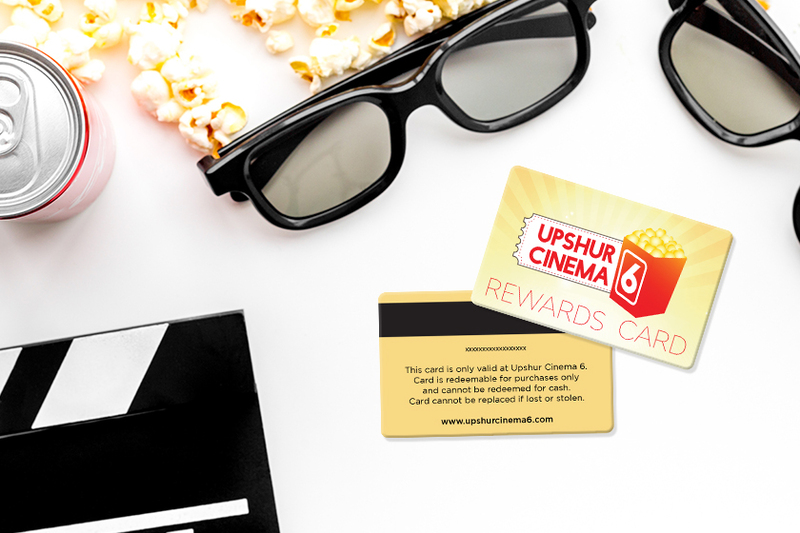 Bolster customer loyalty with coffee loyalty cards and rewards cards! 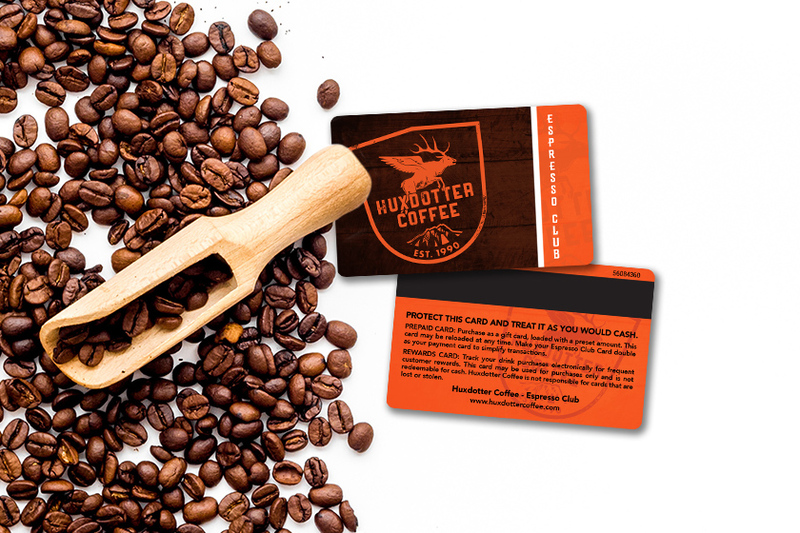 Coffee loyalty cards and rewards cards are designed to help keep your customers coming back to your coffee shop. Distributing discounts, rewards and prizes gives them an incentive to purchase their coffee with you! Plus, it always feels good when you get something you love for free or at a discounted rate. Talk about starting your day off right! If your customers love coming to your bistro, they are most likely going to bring people with them or tell people about you. Satisfied customers are a great form of free marketing. Make sure to create eye-catching coffee loyalty cards, so that when customers are talking about your company, they have something to show their friends. Your card will be their first impression of your bistro, so make sure card pops! When you walk into a coffee house, you are usually overwhelmed with a bunch of choices on a menu above the coffee bar. If you don't know what you are getting, sometimes you can feel rushed and maybe not pick a drink that you like. You want everyone to feel comfortable ordering coffee at your business and let's face it, not everyone can order quickly. Having a coffee shop menu on hand is the perfect solution. It allows customers to take their time deciding what they want to order and if they have specific diet requirements, they will be able to read more in-depth about what's in the different drinks. Along with displaying what coffee drinks you offer, your coffee shop menu should look professional and reflect your brand. This menu does a great job of showcasing their drinks in an eye-catching way. The custom shape adds to the coffee shop's environment giving the customer a fun coffee drinking experience. Pro Tip: Including images can help intrigue your customers, enticing them to try out a new item. Pops of color are also known to have different effects on your customers. For more information on the psychology that goes into designing a menu, check out our blog on menus. Running a bistro or cafe leaves you busy enough as it is, you don't want to worry about replacing damaged tables. Protect the surface of your tables in a fun and creative way with plastic coasters. Why should you use plastic? Plastic lasts much longer than cardboard or paper because it's durable and waterproof. Not only does it protect your tables from glass rings, but it also protects the design you put onto the coffee coaster from being unreadable. Coasters can do so much more than sitting on your table; they also are a high-visible marketing tool! 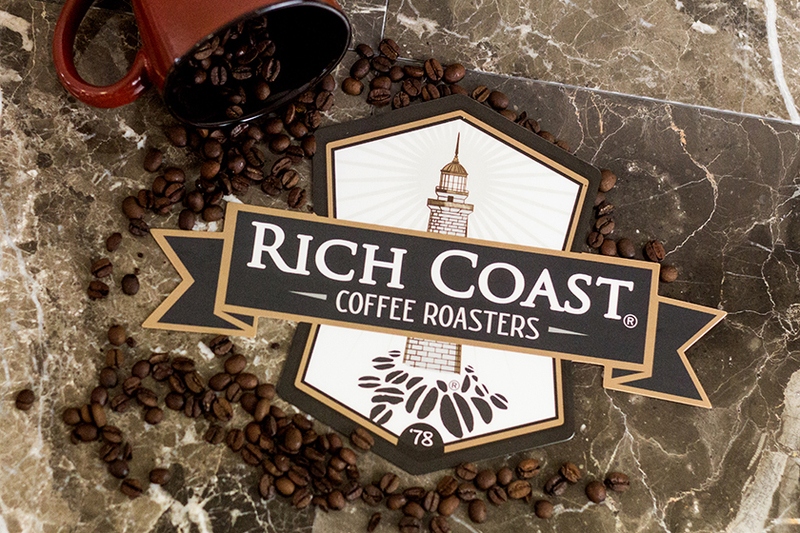 Coffee coasters can be used to push a new product, market an event or promote your social media pages. Alternatively, other companies have designed their business card to double as a coaster. This is an excellent opportunity for you to leave your potential customers with an item they use every day. Whenever they see it or use it, they will think of your company. Who knew there were so many great uses for coasters? 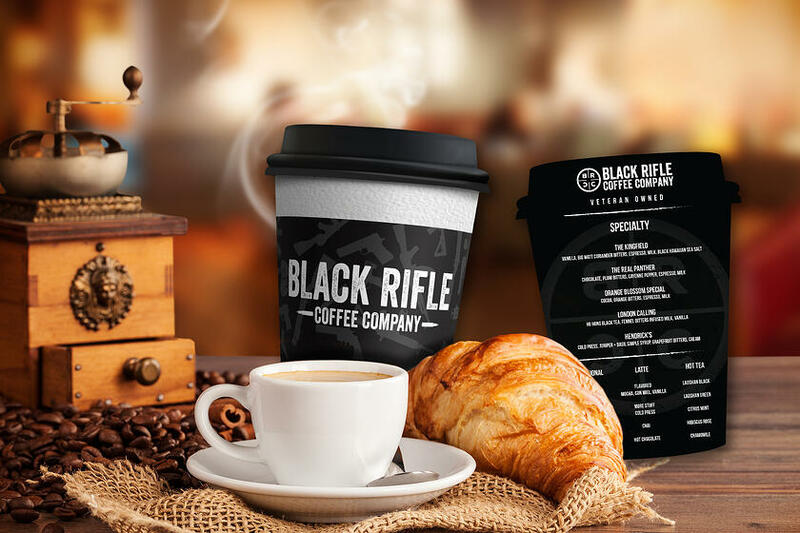 Give your customers a reason to experience your coffee shops with custom shaped business cards, rewards cards, gift cards, menus, and coasters. Just remember to design them to complement your environment and coffee, so if further enhances the customer's coffee shop experience. If you have questions on which of these plastic products will work best in your coffee shop, give us a call today! Our experts are always happy to help answer questions. I am the newest addition to the Plastic Printers Marketing Team. 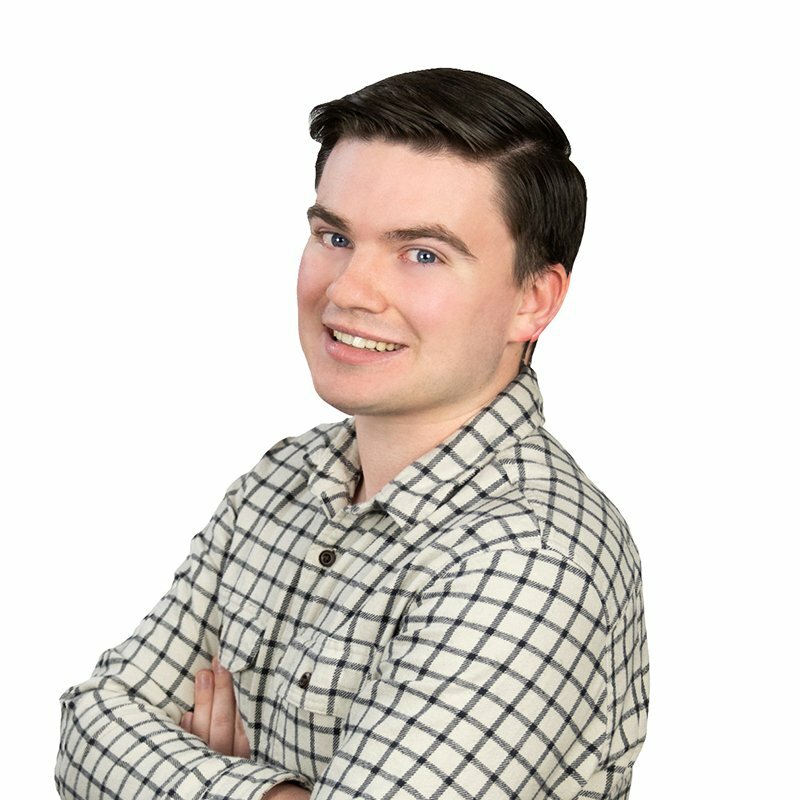 Starting as a Marketing Content Specialist, I am responsible for the planning and creation of creative content. 2019 PlasticPrinters, Inc. All Rights Reserved.